Once known as Soldier’s Beach in the 1920s, Inlet Beach is the easternmost beach community in South Walton, with Lake Powell on the north and the beautiful sugar white sands of the Gulf of Mexico to the south. 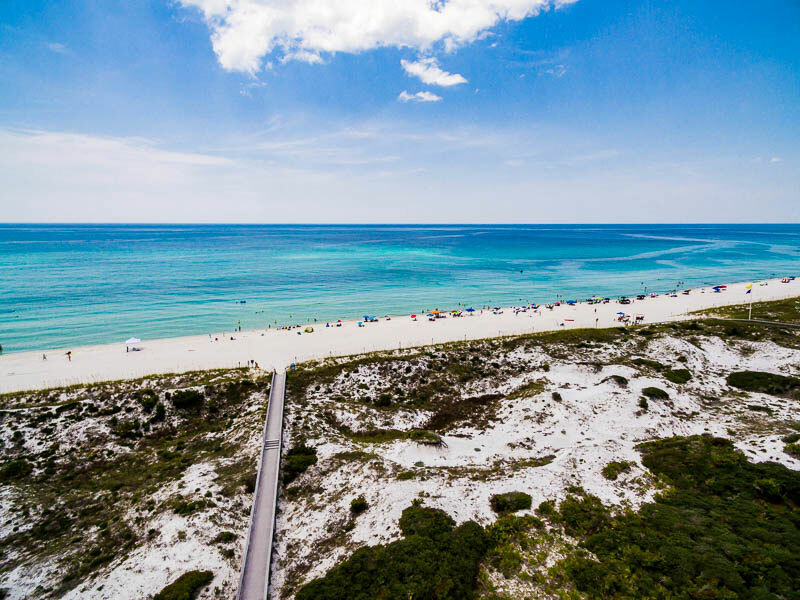 Inlet Beach boasts the largest public beach access point in South Walton, enticing beach lovers to this much loved location, naturally protected by beautiful endless sand dunes and flora. Inlet Beach hosts fine dining establishments, but casual is definitely the style of this laid-back and very cool beach community. For shopping, be sure to visit the new 30Avenue Shopping Center. As well, our Inlet Beach rentals are conveniently located within a short driving distance to Panama City’s shopping and restaurants.